Hoping to step up your cast iron collection? Look no further than our classic 10 inch skillet, seasoned with Camp Chefs True Seasoned Finish so it's ready to go right out of the box. Create the most delicious meals with cast iron from bacon and eggs to fresh cinnamon rolls. The comfort grip handle makes for easy lifting and control, and dual pour spouts provide a more convenient cooking experience. You can't go wrong with an essential cast iron piece like this. 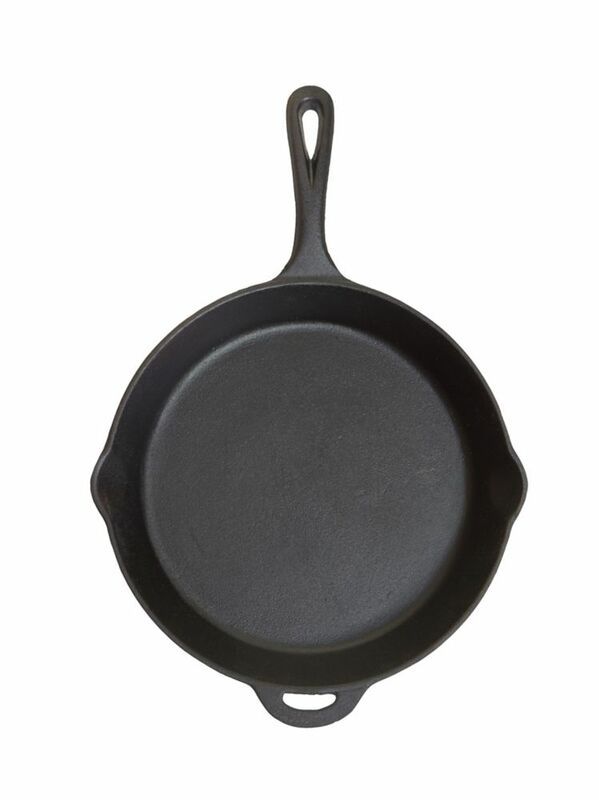 10-inch Cast Iron Skillet Hoping to step up your cast iron collection? Look no further than our classic 10 inch skillet, seasoned with Camp Chefs True Seasoned Finish so it's ready to go right out of the box. Create the most delicious meals with cast iron from bacon and eggs to fresh cinnamon rolls. The comfort grip handle makes for easy lifting and control, and dual pour spouts provide a more convenient cooking experience. You can't go wrong with an essential cast iron piece like this. 10-inch Cast Iron Skillet is rated 5.0 out of 5 by 1. Rated 5 out of 5 by Linds from Perfect Pan The 10” cast iron pan is the perfect multi-use size. You can make sauce, bake biscuits, fry chicken, etc. I love it!